Mike Greer Homes has been building award-winning homes for over 25 years and we have made it our life’s work to create homes that are designed and built with purpose and passion. At Mike Greer Homes, we believe more is more. That’s why we make every effort to exceed customer expectations and to create homes that stand the test of time in terms of both design and construction. As a building apprentice by trade, Mike Greer is known for his workmanship, passion and ‘can do’ attitude. Today, those very values have helped Mike Greer Homes achieve market leadership in affordability, design creativity and quality construction. If time is of the essence for you, Mike Greer Homes has a range of completed new homes as well as those currently being constructed throughout the country. With a wide range of packages from spacious family homes to smart apartment living, our experience and planning ensures the best options in the best locations. We’ll even work with you to tailor the perfect package for your lifestyle and budget. 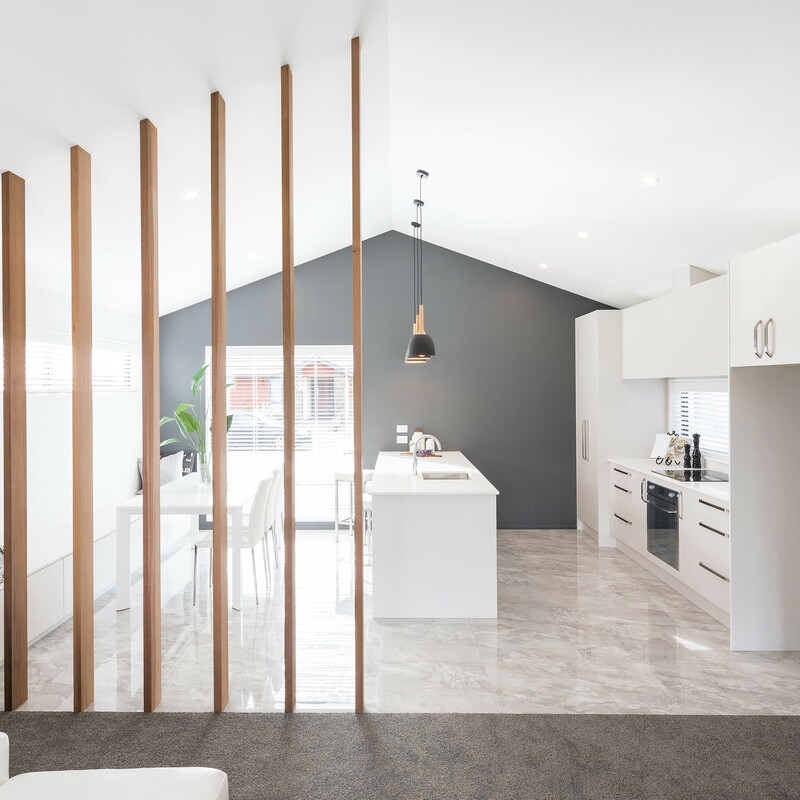 Designing and building a new home is exciting – whether you want to build in Christchurch or Auckland and places in between, it’s a journey we’ll take together. Our award-winning in-house team will create a design to suit your site, budget and lifestyle, whether that’s a timeless, traditional style or bold contemporary architecture. all ready for you to move into! Building modern, affordable homes for Kiwi families. Find out more about how you can make the most out of your KiwiSaver. Click Here. Set on a fully landscaped section, this home has been thoughtfully designed to maximise space and comfortable living. With four double bedrooms, a family bathroom and an ensuite, the home is well appointed and suited to a range of lifestyles. With over 25 years in business, we have a rock solid reputation to protect. We understand the importance of building trust and we act with integrity and honesty in all our relationships. From the start we’ve been known for being a little more creative than most. We offer options for our customers, and stay abreast of leading developments in sustainability and building technologies. We are highly professional at every level. We deliver to an impeccable standard, and our awards prove it. We integrate both thinking and design, and provide skilled guidance throughout the build process and beyond. Owning a new home is more achievable than you think, get in touch with our team today to find out more! Mike Greer Hills has recently re-branded to Mike Greer Architectural. From new residential homes to renovations, challenging hill builds to cutting edge designs, Mike Greer Architectural offers a comprehensive range of architectural building services. Whether it’s a Home and Land package or a Design and Build service you require, we are renowned for building homes that are innovative and flawlessly finished. We are constantly striving to improve the way homes are built and to make them more affordable for New Zealanders. Often that means challenging the status quo and exploring international, industry-leading initiatives and applying them to our local needs. At Mike Greer Homes we’ve spent decades working with clients to build homes that are unique to them. We bring that experience to all of our designs. We have a comprehensive range of proven and popular designs to choose from, or to use for inspiration and direction. Our innovation is matched by our flexibility. We’ll work with you to tailor the package that’s right for your lifestyle and budget. And we give you choices so that the house truly becomes your home. 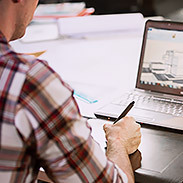 Customers appreciate our willingness to modify plans to suit their individual requirements. It’s your home and we never lose sight of this. When it comes to finance packages with Mike Greer Homes, you decide the terms. Our fixed price contracts are industry-leading, with no surprises or hidden costs. 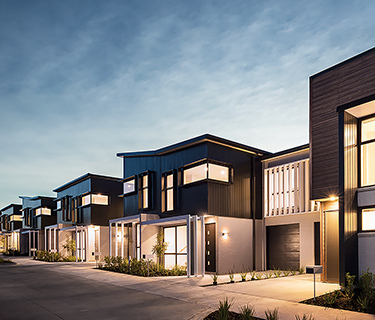 With operations throughout New Zealand, Mike Greer Homes has the experience, capability and commitment required to create homes that stand the test of time. Our customer focused team works hard to deliver a result that exceeds expectations and one that’s delivered on budget. Our long established relationships with suppliers and our extensive experience in the industry means we can give you more of the best deals without compromising on quality or choice. Click a category learn more. 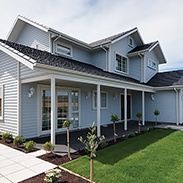 As registered members of the Master Builders Federation of New Zealand, we offer all new home buyers a 10 Year Master Build Guarantee as part of the package and just part of our after-build care. For our clients, the benefit of choosing a registered Master Builder is having confidence in the builder’s trade practises, experience, and ability to do the work. Being protected by this means you can enjoy your new home even more. All of our new homes use only the highest quality and, where possible, New Zealand brands. We have used our scale to make these brands affordable so that you get the best deals and the best range to choose from. Our strong relationship with ANZ means we also have dedicated bank employees standing by to talk about great rates and finance, when you’re ready to. And, as an accredited Lifemark partner, our homes are independently recognised for being well designed and safe to live in – for a lifetime. Our in-house designers offer a personalised experience, customisation and flexibility and a ‘can build anything’ approach. With hundreds of base plans you may be looking at the one that’s perfect for you, or you may wish to modify it to make it more your own. Our team can customise each plan to suit your individual site, budget and style. After first entering the Master Builder House of the Year Awards in 2005, Mike Greer Homes has been a consistent multi award recipient ever since. Specialising in homes that are refreshingly different, warm, inviting and finished with genuine flair, the annual awards are an acknowledgement of the hard work that goes into every home we design and build. It’s a great night out for us. Mike Greer Homes is in the business of building dream homes. But we are also in the business of using our skills and expertise to make a difference. We believe that private business collaborating with charities is a powerful way to improve lives and to ‘give back’ to individuals and communities. That’s why we have partnered with child health charity Cure Kids to build and auction homes with all profits going to the charity. Our first Mike Greer Homes/Cure Kids home in Auckland was built and successfully auctioned in 2016. The second partnership project in Christchurch was completed and auctioned recently with $45,000 raised for Cure Kids. We’re proud of the ongoing contribution we can make to this worthy cause. The combination of talent, passion and hard work is something that we value and foster at Mike Greer Homes. 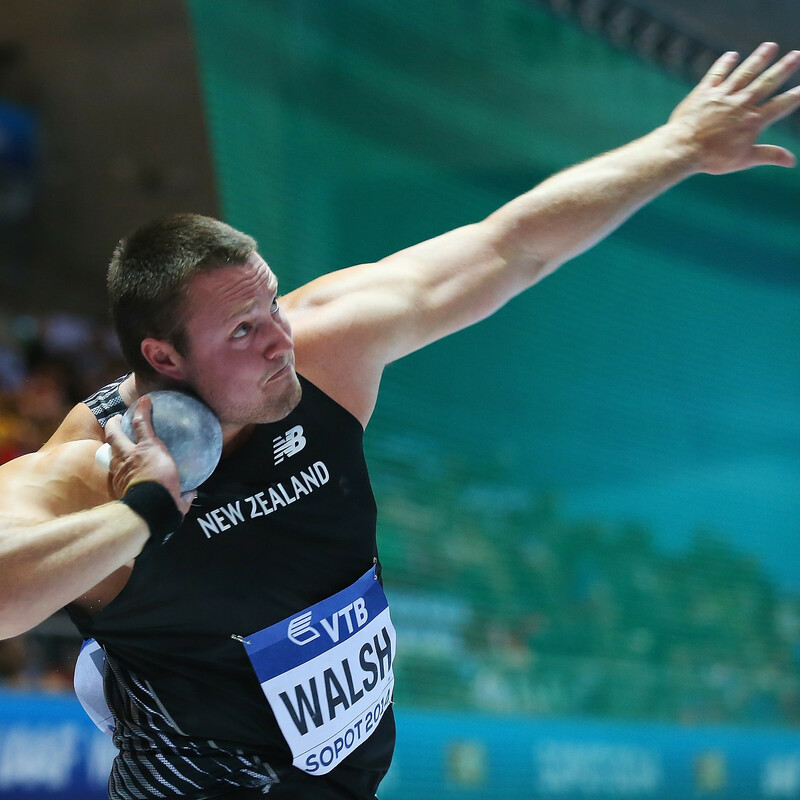 And that’s why we like to support local sportspeople who are making a name for themselves on the world stage - like Tom Walsh. Mike Greer Homes has been a key sponsorship partner in Tom’s sporting journey. As a valued employee of the business for the last seven years, we have funded his apprenticeship, contributed to the cost of his athletic training, and committed to accommodating his training and competition schedule. We are enthusiastic supporters of his efforts and the values he demonstrates as an employee and as a top performing athlete. At Mike Greer Homes we appreciate that good health is something we often all take for granted. Medical assistance and hospital visits are rarely pleasurable, particularly for children. That’s why we have proudly supported Christchurch Hospital’s ‘Play with Purpose’ centre for a number of years. This is a great service for young children who fight for their health every day. 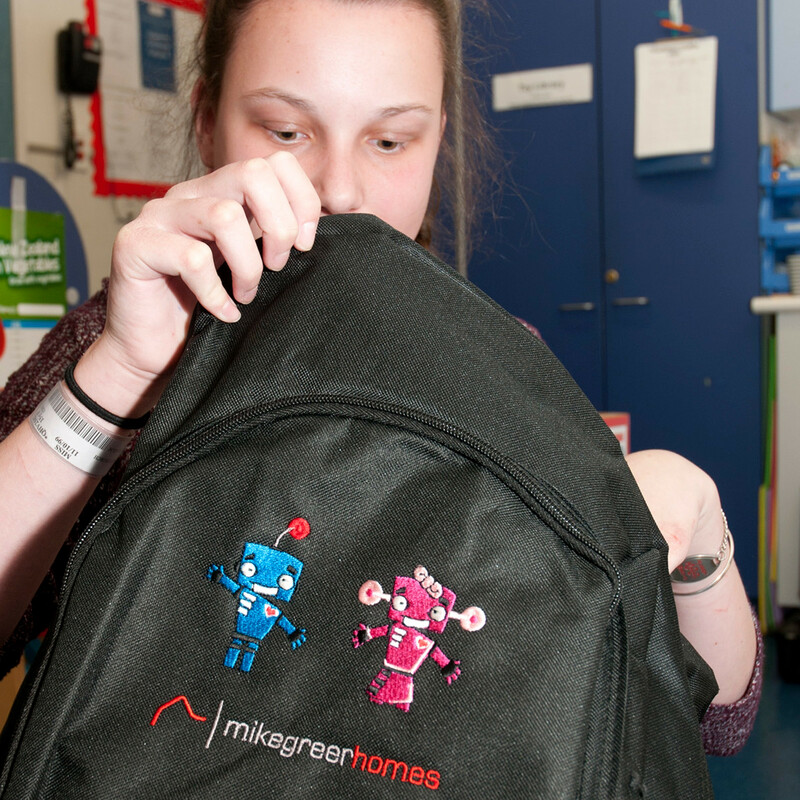 Backpacks filled with colouring in books, pencils and other goodies are packaged up and gifted to the centre to give away to children and their siblings to help make their stay or visit to hospital just a little bit more bearable. 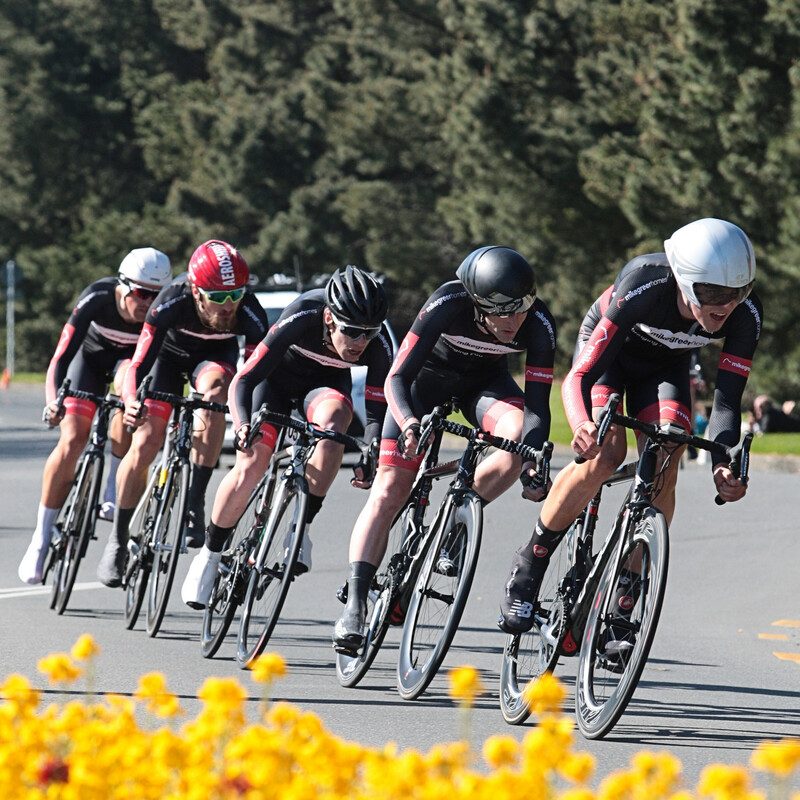 Mike Greer Homes are proud supporters of a Cycling New Zealand Trade Team that competes in a number of races throughout the year. At Mike Greer Homes we are passionate about working hard to be the best we can be in every area of life. This cycling partnership gives us the opportunity to help talented Kiwis pursue their passions and achieve success by providing kit and financial support. We know these riders personally and enthusiastically follow their results as they ride hard to push themselves, their team, and the Mike Greer Homes brand.